Emulsifier pioneer Palsgaard continues to break new ground for its customers in both sustainable sourcing and food safety, capturing the market’s attention with its ‘Make the Change’ initiative. Palsgaard A/S, whose founder invented the modern, vegetable-based emulsifier 100 years ago, this year, is stepping up efforts to help food manufacturers swap non-sustainable ingredients for sustainable ones, and to ensure the highest levels of food safety. 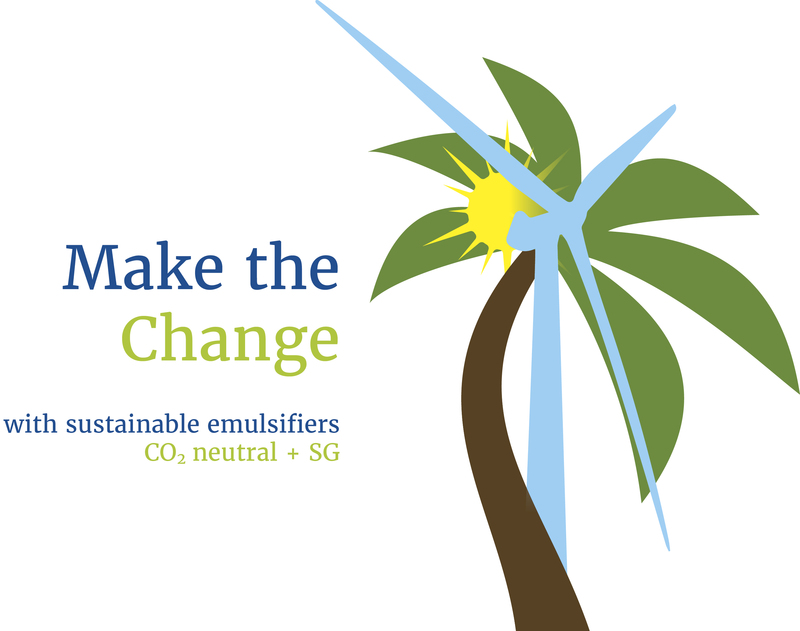 The Danish-based company’s latest initiative, ‘Make the Change’, points out a simple fact that many manufacturers have overlooked: that sustainable emulsifiers (produced at a 100% CO2-neutral plant using RSPO segregated palm oil) present a quick, easy way to answer consumer and regulatory demands for high-quality, sustainably sourced ingredients. Palsgaard’s list of investments – and first-to-market achievements – in these areas is indeed long. In 2015, the company became, for example, the first emulsifier manufacturer in the world to achieve 100% CO2 neutrality. In 2016, the first to achieve RSPO Segregated sustainable palm oil status. And in 2017, Palsgaard was the first food ingredients company to join Act NOW, an organisation formed to promote sustainable value chains, with particular focus on bringing together politicians, NGOs, companies and employees to raise awareness of here-and-now actions for reducing energy consumption. Now, as the company’s award-winning Corporate Social Responsibility report describes, even stricter demands are being directed at Palsgaard’s supply chain to support customer confidence. For food manufacturers visiting GulFood Manufacturing 2017, the fruits of Palsgaard’s pioneering efforts translate directly to new market opportunities and a more secure future. The company’s range of sustainable, non-GMO, vegetable-based emulsifiers enables healthier recipes, solves production issues, supports consistent product quality and, through more efficient production helps to reduce food waste. Palsgaard’s food safety is managed via HACCP in compliance with EU Regulation 852/2004. Additionally, quality complies with ISO 9001, and ISO/FSSC 22000 and the additional requirements for Prerequisite Programmes (PRPs) laid down in ISO/TS 220222-1.